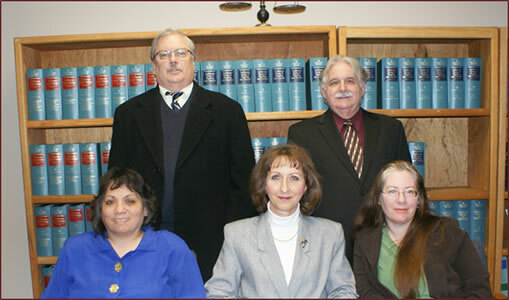 Welcome to the website of the Law Office of Frieze & Paul. For over 30 years, our firm has assisted clients locally in the City of Elk Grove, County of Sacramento and nearby with legal counsel and services. We have the competence, integrity and experience to handle your legal needs effectively and cost-efficiently. Click on an area of law from the menu at the top for greater details about our services, which includes business law, estate planning, real estate and real property, personal injury and worker’s compensation. We can help you with your problems starting with an initial 1 hour consultation to review your legal issues and recommend viable solutions. If you desire more information about our services or would like to schedule a consult-ation, please do not hesitate to contact us. We offer a free consultation for Personal Injury and Worker’s Compensation matters plus a reduced rate for your initial consultation on business law, estate planning, real estate and real property. 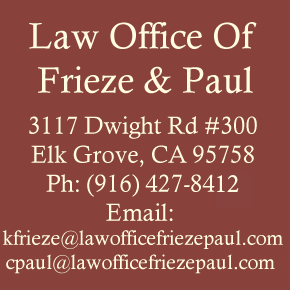 Law Office of Frieze & Paul is located in Elk Grove, CA and serves clients in and around the Greater Sacramento area.